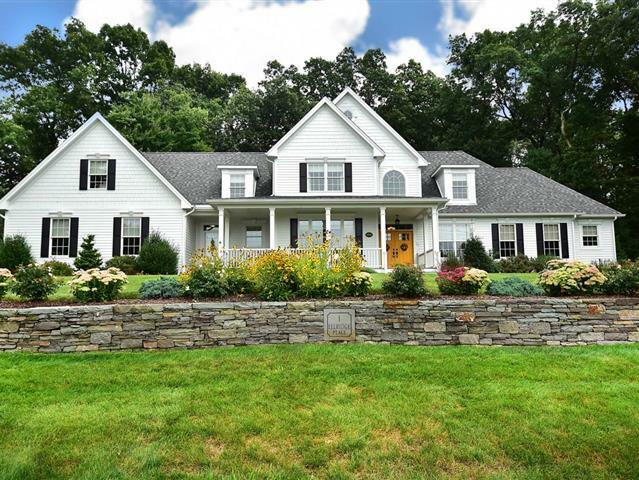 Custom designed and built colonial with attention to detail throughout. Elegant yet comfortable for today's lifestyle with upgrades and amenities well thoughtout. Open floor plan with kitchen opening to eating area and great room. Kitchen has pantry and center island and opens to dinette area with coffered ceiling overlooking backyard with abundant natural light. Formal dining room with tray ceiling for more formal gatherings. Two first floor master bedroom suites, each with their own master baths. The enclosed porch is perfect spot for relaxing after a busy day or a round of golf. In addition to the two second floor bedrooms, each with a private bath, there is a loft area, art / craft room with half bath and studio area.This lovely home is situated on a lush, professionally landscaped lot with stone walls, a patio area and a grilling area with awning. Located across the street from Ellington Ridge Country Club.